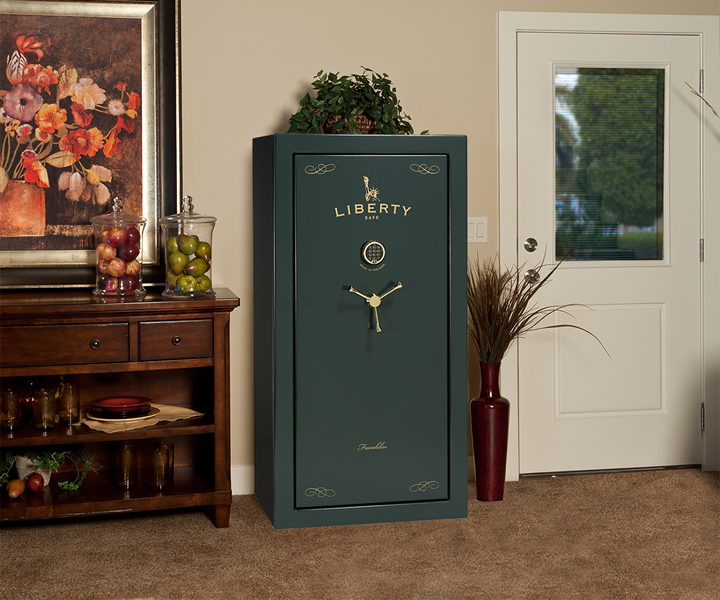 This fire rated gun safe is packed with features and options. 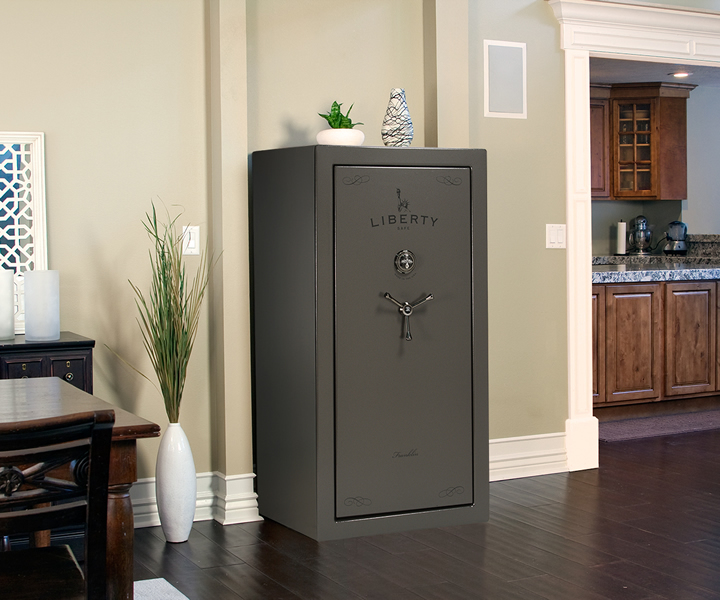 The Liberty Safe Franklin Series offers a dynamic blend of Security and Style that is hard to beat! 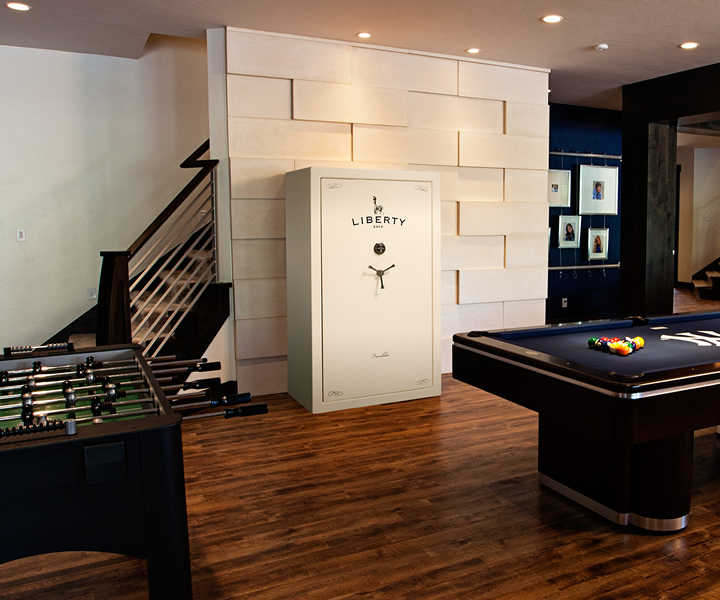 Bigger, Longer and military-style locking bars combined with Liberty's "Tough Door" provide an additional level of security. 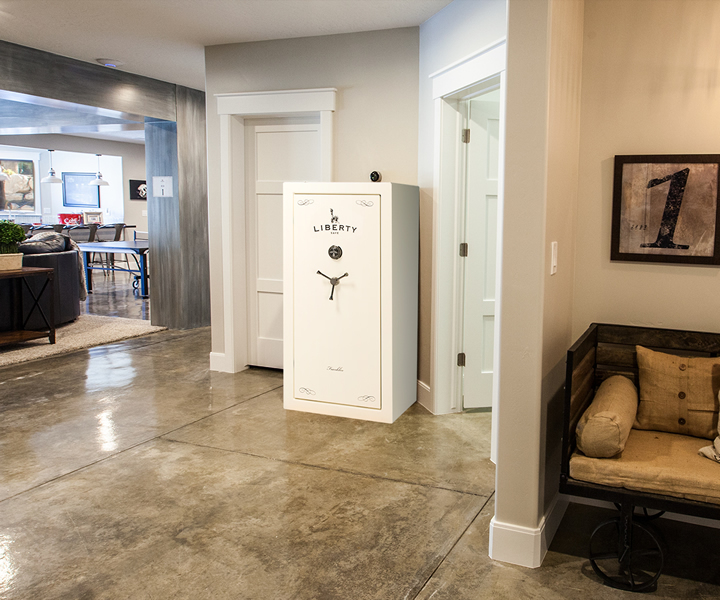 Take a look at the features below and you will quickly realize that these safes are packed with Features not typically found in safes at this price. Palusol™ Heat Activated door seal up to 7 times its size to help seal out heat and smoke. Liberty's formidable DX-90 MONSTER MECH--This revolutionary mechanism combines its over-center cam with relocker to help prevent side-punching better than direct drive safes. NEW! Up to FIFTEEN 4-Inch Military Style Locking Bars that are 1/4" thick! 33% longer bolt extension includes anti-pry tabs on the bracket. Pry resistance is increased considerably with these features! 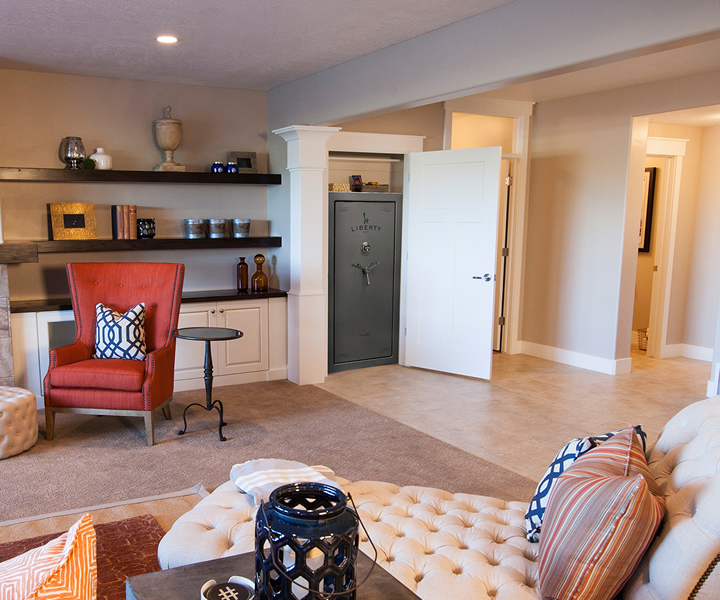 Upholstered 4-in-1 Flex™ interior with fabric covered shelving or upgraded pin-dot velour fabric on gloss models.